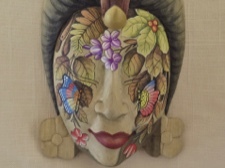 Calm and serene, delicately handpainted with butterflies and flowers, this handcarved hibiscus wood mask looks like a sleeping priestess. 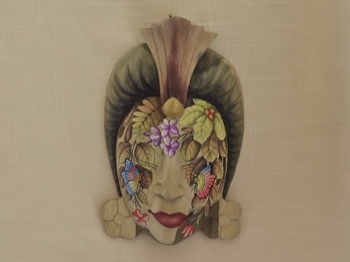 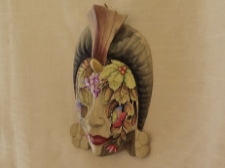 This mask was created by the skillful artists of Mas village in Bali, Indonesia. 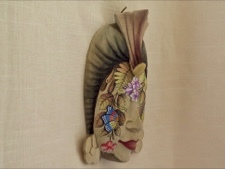 This gentle beauty is 8 inches tall and 5 inches wide.